PADI Instructor Development Course Mexico. Dive On In with the best Instructor training! It is time to start loving your job, therefore Dive Cabo is suited to help you with your dreams! GoPro for your PADI Instructor Development Course Mexico! For that reason you can turn your passion into a career. Join the Dive Cabo team because we are the only PADI 5 Star IDC Resort in the Los Cabos region. Above all It’s time to step up and become a PADI Instructor! Another reason to come and join the Dive Cabo team on the next Instructor Development Course and start loving what you do! So why choose Dive Cabo? 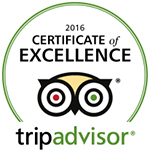 First of all, we are proud to be the first and only PADI 5 Star IDC center in the beautiful Los Cabos region. Cabo San Lucas is located on the southern most tip of the Baja Peninsular, on the Pacific coast of sunny Mexico. 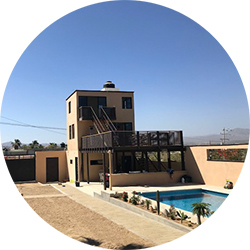 Furthermore, Dive Cabo has a purpose built diver training center, “KlubHaus”, complete with deep water pool, on site classroom, fully equipped kitchen and accommodations to cater for your needs as you refine your passion into a career! Finally, we have amazing weather all year round! So Contact our Course Director here! Dive On In! 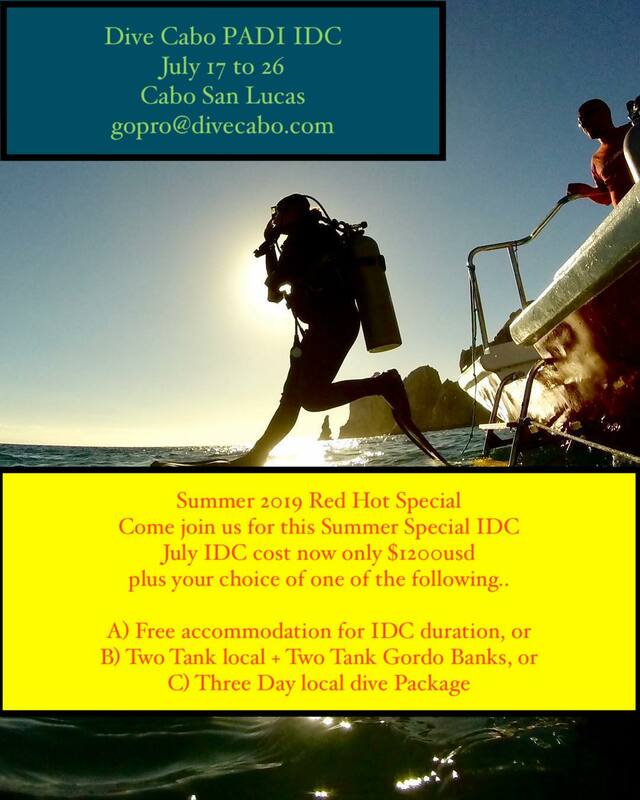 Dive Cabo offers a 10 day PADI IDC course which starts with the Assistant Instructor (AI) which spans 4 days, then the Open Water Scuba Instructor (OWSI) portion which also covers 4 days, because also included is the Emergency First Aid Instructor course. Therefore following each complete course (candidate number permitting) the Instructor Exam will be conducted over 2 days by a PADI Examiner. 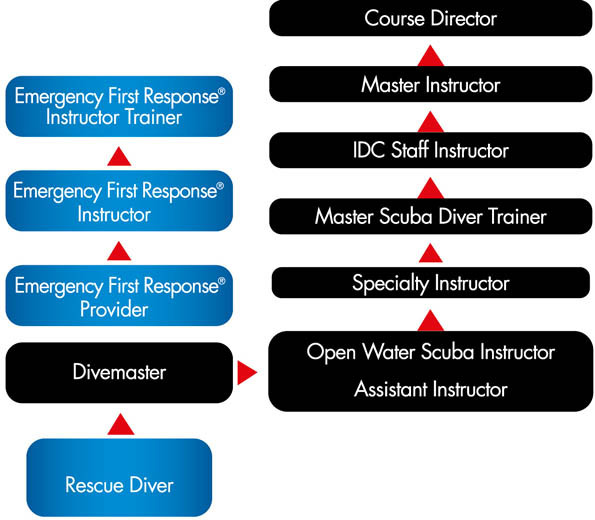 As a result of this you will become a PADI Open Water Scuba Instructor! • An EFR Primary and Secondary Care (or equivalent) certificate that was completed within the past 24 months. • At least 100 dives logged and 6 months certified as a diver at the time of the dive instructor course evaluation. • Be fit for diving and submit a Medical Statement signed by a physician within the last 12 months. We here at Dive Cabo, have a purpose built training facility for the PADI IDC Instructor Development, which is complete with deep water pool, accommodations, fully equipped kitchen, air conditioned classroom and bbq area, therefore everything is onsite so you can focus on your life changing program. 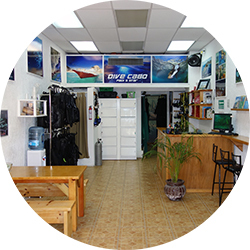 Marina side dive shop located within 5 minute boat ride to the famous sea lion colony and Arch landmark make Dive Cabo your one stop shop for all entry and Pro level diving courses! GoPro with the best on the Baja! Complete PADI IDC Mexico Dive Cabo Instructor Training on the sunny Pacific Coast of Mexico. 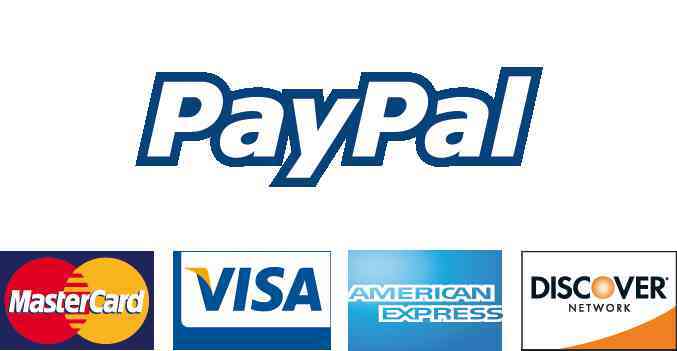 So Email here for the latest information. PADI Instructor Development Course Mexico. Furthermore also enquire about our day to day diving. Therefore come and see the big life! finally all our IDC candidates will receive a 2 tank dive at the famous ‘Gordo Banks”, even more reason to GoPro with the best!